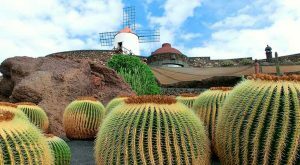 With the exception of the César Manrique Foundation, all of the below attractions are managed by the Municipal Council of Lanzarote’s Centres for Art, Culture and Tourism (CACT). 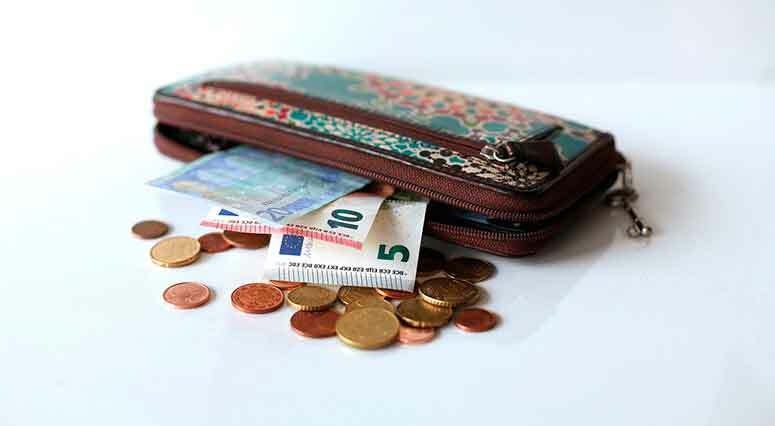 They offer discounts on entry fees when you purchase multiple tickets to be used within 14 days, visit their website for more details. Entry includes a guided coach tour of this most popular and famous of all of Lanzarote’s attractions. It is the best place to explore the Fire Mountains (Montañas del Fuego) of the volcanic eruptions in the 1700s. The landscape truly is unique and resembles the surface of the moon. 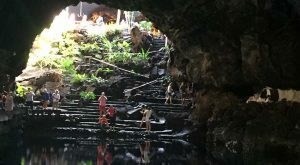 You can witness the heat of the lava below with demonstrations of pouring water and throwing branches into holes. There’s also the El Diablo Restaurant where food is cooked on grills heated by the volcano. 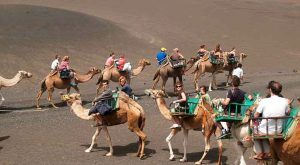 The coach tour takes around 40 minutes and is a fantastic way to get some great photos of the lunar landscape. 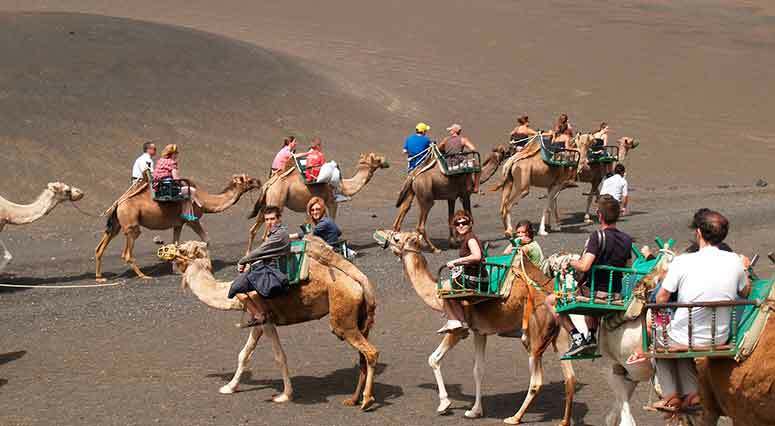 Just before the entrance to the National Park you will come across the camel safari which will take you around the border of the park. These take around 3-4 hours, they are free but you must book in advance. 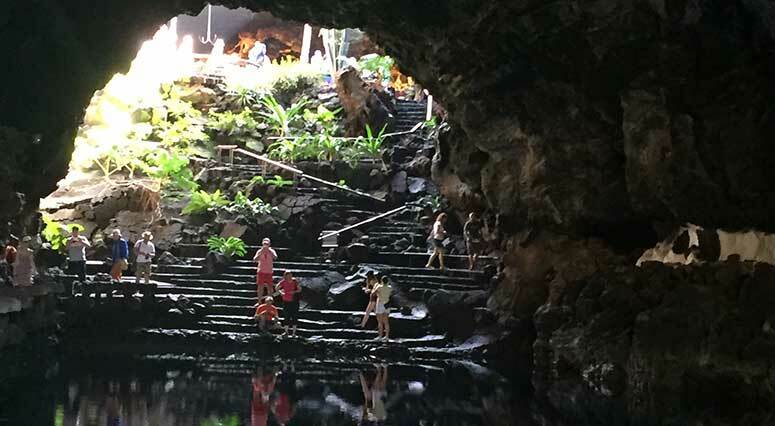 The Jameos Del Agua was transformed by Lanzarote’s famous son CésarManrique , formerly a collection of unused caves and tunnels it is now a collection of gardens, café, a natural lake home to Albino Crabs and an auditorium which regularly hosts events. 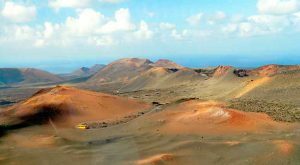 Cuevas de Los Verdes was historically used as a hideout for the Lanzarote locals during periods of invasion by pirates. Nowadays, you can take captivating tour into the formations of caves and tunnels, the strategic lighting throughout the caves highlights the different structures and natural colour changes as a result of iron and salt. This was the last work César Manrique performed in Lanzarote and is surrounded by the largest cactus plantation on the island, historically dedicated to crops of cochineal beetle, which was a product of great financial importance in Lanzarote during the 19th Century. The Jardín de Cactus has around 4,500 specimens of 450 different species, of 13 different families of cactus from the five continents. 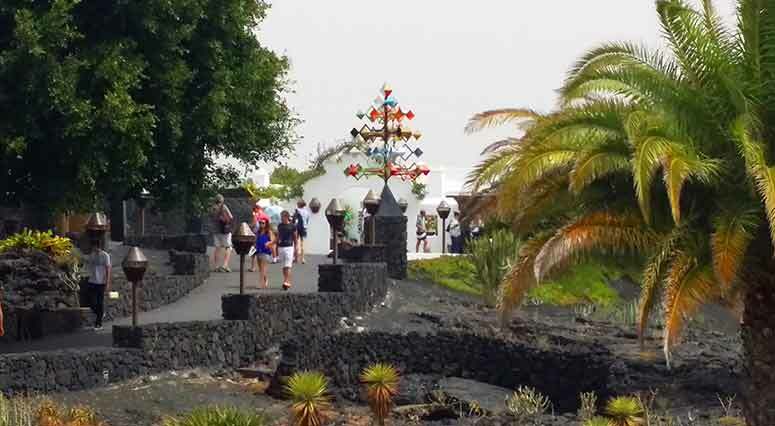 César Manrique created most of the Tourist attractions on the island, so it seems fitting after visiting them to head to his former studio/home in Tahiche. 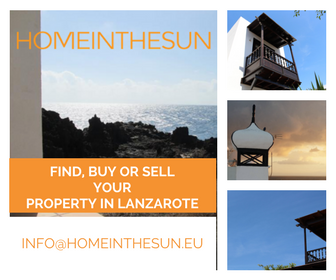 The house is built in five volcanic bubbles, with natural light, fountains and a swimming pool, now a museum dedicated to his life and the promotion of his works. It is also an important art gallery with art from Joan Miró and Pablo Picasso. There are many more places to visit that cost less than 10€ these are just some of the more famous.